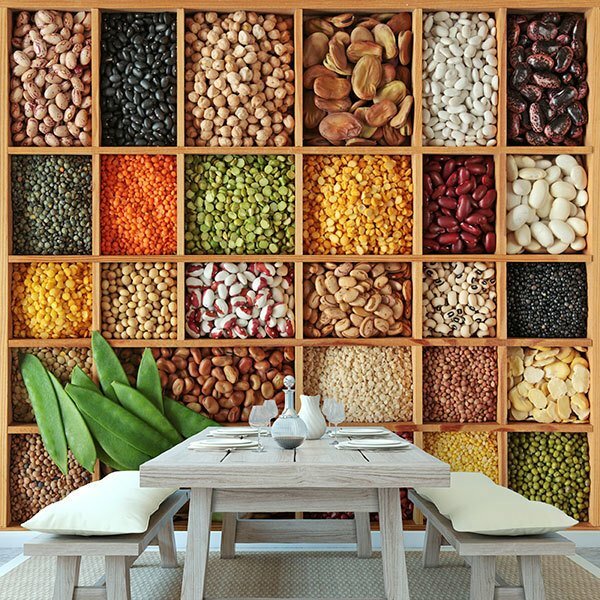 Wall mural Collage Legumes. 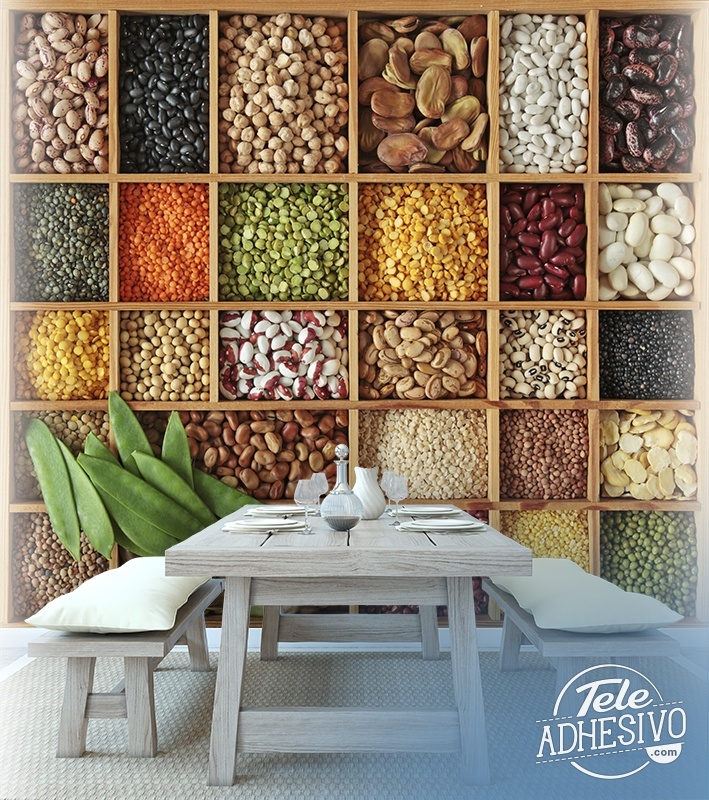 Complete collection of 30 legumes of different shapes, sizes and colours in a wooden separator. 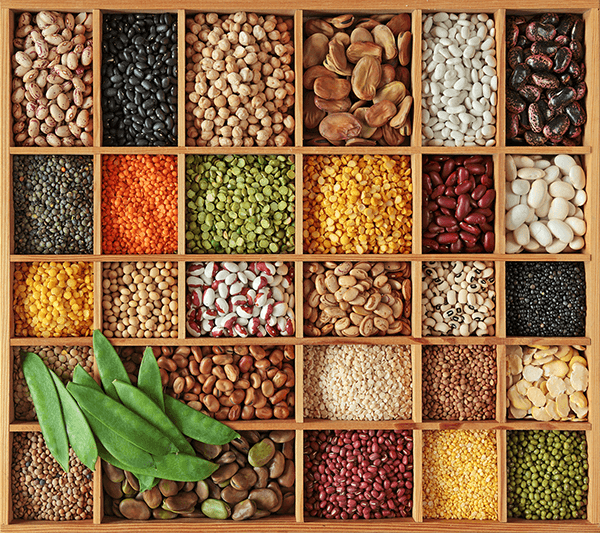 Fantastic combination of legumes such as lentils, white, pints and greens, chickpeas or beans. 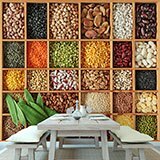 Ideal for decorating a food business.